I haven't participated in Manga Mondays for quite some time due to time constraints. Manga Mondays is a meme hosted by Alison at Alison Can Read where bloggers can share their passion for reading mangas. It's a great place to get new manga titles to try and to meet new bloggers. Description: The exclusive St. Kleio Academy is in jeopardy. Kai and his following have become terrorists who vow to protect those who remain at the academy. Rockwell, the head of the Academy, calls for Shiro to end his time at the school and move on to his next step: being the ultimate protector of St. Kelo Academy like his his original. What does being protector entail? 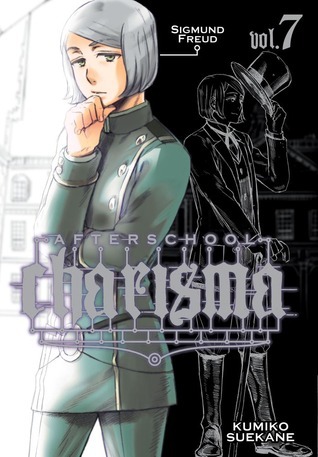 Review: Unlike other mangas that I've read, I read a volume of Afterschool Charisma at least twice. that's not to say that I put the volume down or that I become disinterested in it but rather the plot becomes more complicated with each volume. In this volume, we learn that Shiro is a clone of the person who created the St. Kelo Academy. He is caught in the middle of helping his friends by working with the Academy and joining the extreme terrorist group created by Kai. When he unexpectedly graduates from the Academy, he is given the huge responsibility to take care of the Academy. The Academy is still very much a mystery. From what Shiro is told, it was the vision that the clones of great and infamous historical figures is to lead society in the right direction. One wonders if that is the real reason or if it's the reason that sounds the best. Shiro is now educated by clone Leonardo De Vinci, where he is to learn how to become a leader. Once he arrived, he discovers some surprises such as an older clone Freud and even Marie Curie, who Shiro (and myself) believed to be dead. As Shiro tries to wrap his head around his new surroundings, Kai and the terrorists appear on public television to expose St. Kleio in hopes of getting the public sympathies how the clones are treated. Just like other volumes of this series, more questions are raised than answered. How does exposing the St. Kleio Academy help either side? What will become of St. Kleio in the meantime? I guess I have to wait until October to know. 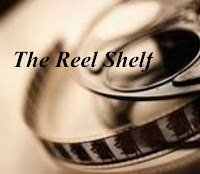 Words of Caution: There is some sexual innuendo and mature themes. Recommended for older teens and up. Glad to see you back! I've only read one volume of Afterschool Charisma but I'd like to read more. I'm impressed that it's interesting enough to hold up to multiple readings.